Who can relate to this statement? “My husband and I are both employed and we are able to shop, drive a nice car, we are living in a nice house and we are able to do some family activities but we are not able to save and we are always waiting for the next paycheck to arrive. If one paycheck is missed our life would be significantly affected.” These are the words of the average middle to upper-middle class family. You may have a good income, but would you honestly say, you are a paycheck to paycheck household? Most families would appreciate some assistance when faced with financial challenges, but there are limited services available for the middle class to receive subsidy. In the public eye, you would be considered having more than enough; so your family may have to struggle in silence. I am often reminded that many are a paycheck away from broke and a few months away from foreclosure. Consequently, with limited financial resources and little family support the reality of homelessness becomes a possibility. I recently read an article about one family’s struggle by Darlena Cunha in the Washington Post, “This is What Happened When I Drove My Mercedes to Pick Up My Food Stamps.” She shows how their upper-middle class family, due to different circumstances, job loss and pregnancy, they were pushed into poverty and it still was not easy to gain support. What can be done to help the Middle-Class Dilemma? I have pondered one solution of creating a “Suburban Village.” The coordination of sharing and advocating to provide strategic community support that would be an internal network of neighbors. Community requires intention. If you see a family in need, offer support without being asked, without looking for something in return and without sharing your contributions in order to gain praise. Let’s touch and agree through prayer and understanding that faith takes belief and action. Let’s rally together and promote the best opportunities for health and healing. The Suburban Village is a mind-set of unity that provides support within the Middle-Class Dilemma. We are in the process of creating “Positive Partnering for Prosperity.” The Suburban Village will secure support and provide information for the middle-class dilemma. 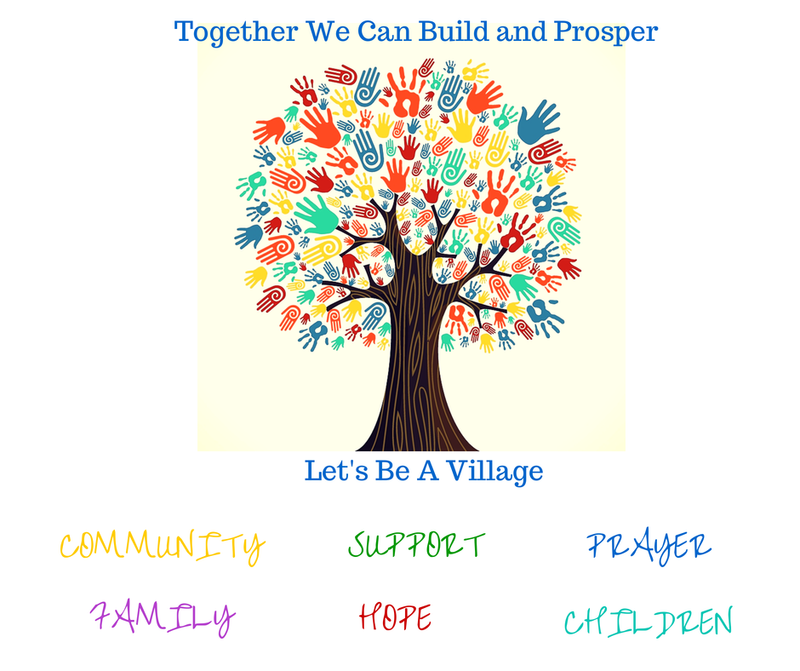 We are looking to coordinate with families to begin the suburban village community. It has to begin somewhere, and now is the time. Families can cook together, plan together and make it happen together, as a VILLAGE. So let’s get together and become a village. If this sounds like your situation and would like some village support, please reach out, 30DaysofPositivity@gmail.com. Please share your thoughts on this situation and some suggested solutions. This is a powerful message you have here. I love the idea of building a community to support families in need. I love it and am looking forward to watching it come to fruition. Thank you Erica. This is so needed. So many families are need of a support system. Thank you for sharing.